We are again hosting the Art @ Blindcrake arts trail on 19-27 August, 1.00 - 6.00 pm in Blindcrake Village. Six artists will be featured in this open studios event. 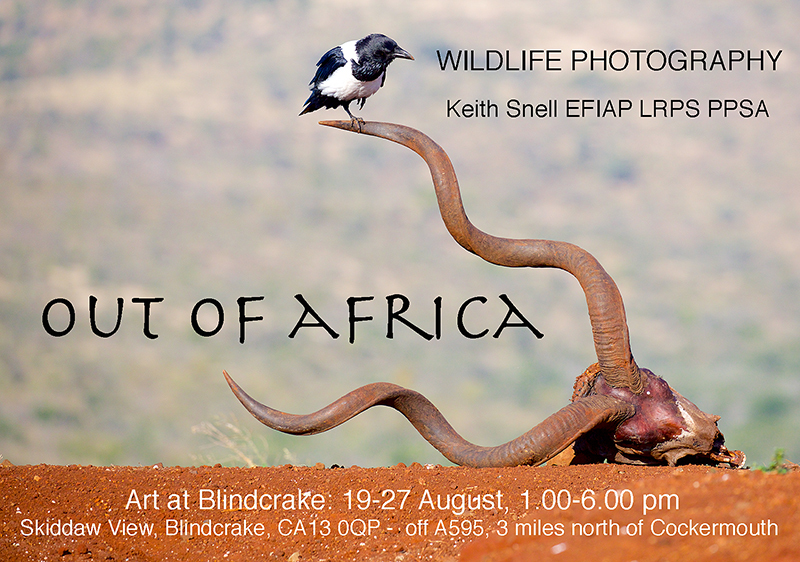 I will be showcasing my Out Of Africa Wildlife Photography exhibition at Skiddaw View in the village (CA13 0QP). This will be previewed by a smaller selection of prints at the Blindcrake Village Garden Safari and Arts Trail on Sunday 25 June. If you are in the area, please come along.